I promise to reveal nothing secretive about this book during my review, for to give away even a single detail will likely ruin the experience as a whole to the new reader. I will simply say this: the first half of the book is utter genius. I can’t recall of late a time I found myself so riveted, so completely engrossed, so eager to turn the page. Flynn set everything up perfectly. Perfectly. And then, I reached the book’s halfway point, and Flynn blew my mind. I’m talking my jaw hit the table. The book completely changed direction and I loved it even more. Sadly, however, the last third of the book did not delight so thoroughly. Without being too specific, I found Flynn tossing in characters and details that, compared to the earlier installments, felt poorly conceived and even flat. I hate to say that because this is a really well written book. Flynn has a great style and proved herself skilled at constructed interesting, varied sentences. It seemed almost as though she pinned herself into a corner and didn’t quite have the best exit strategy. Honestly, the first half of the book was so good that there really was no place to go but down. It would have been nearly impossible to deliver a satisfying ending to a story that broke out of the gates so hard. I’m okay with the ending, don’t get me wrong, I just didn’t find it as masterfully plotted. Would I recommend this book to a friend? Absolutely. I haven’t read anything quite like it—period. I love Flynn’s characters, her style, her themes, her dialogue, and most of all, I love her plot. I simply didn’t love the immediate events leading up to the ending, or, obviously, the ending itself. 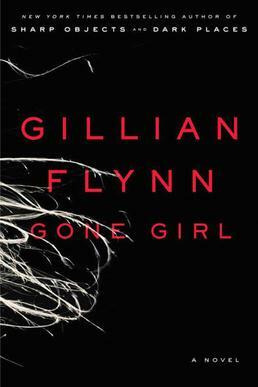 This entry was posted in Book Reviews and tagged arts, books, entertainment, fiction, gillian flynn, gone girl, literature, mystery, read, review.